Prescott, Helena, Conway, Yellville, Ponca, Bull Shoals, Benton, Springdale, Beebe, Monticello, Little Rock, and Fayetteville. That’s just a few of the communities represented this weekend at the Arkansas Citizens First Congress (CFC) Legislative Convention. This convention gathers representatives from dozens of organizations across the state. It is intentionally racially and economically diverse, and centers the progressive Southern voice. The Congress follows a very democratic process. Organizations participate in caucuses and vote up issues they believe CFC should advocate for at the state level. Once the priorities are selected, the whole organization votes, and then those become the priorities staff members advocate for at the state house during the next legislative session. A researcher with the Institute for Southern Studies is interviewing here all weekend, because the Institute, among many others, sees the new Southern progressive community exposing injustice, strengthening democracy and building community for change in the South. This isn’t necessarily the story the rest of the country tells about the South, but it is our story. This is the new South, and the South you never knew, but should have. There are emerging populations in our state, and all across the South, who are strengthening the progressive perspective. For example, 40,000 Latino youth will turn 18 this year in Arkansas, and we hope they will vote. 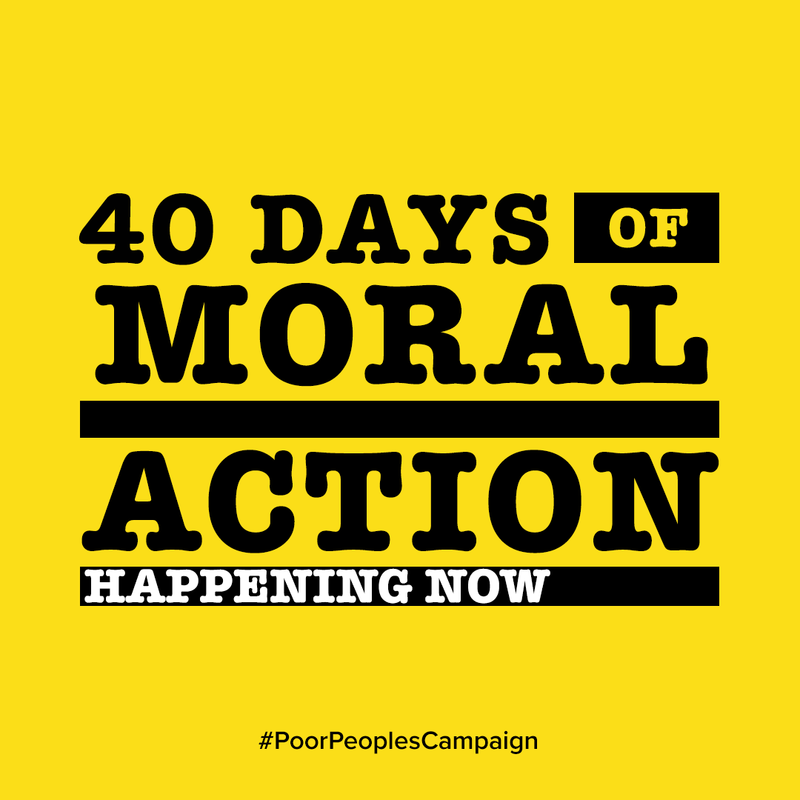 The Arkansas Poor People’s Campaign (APPC) is another organization, pursuing a shorter-term and focused campaign strategy to effect change in many of the directions CFC pursues as well. Where CFC takes the long and lobbying approach, the APPC is attempting to re-center the moral narrative in our nation, lifting up the voices of the poor and especially the voices of those affected by racism, poverty, militarism and ecological degradation. Through all of this, one slowly emerging voice is that of the progressive faith community. Because the noise of voices of faith on the right has been so very loud, it seems Southern progressive people of faith have had to walk slowly, disambiguating themselves from misunderstandings and misuses of the faith in order to clearly proclaim the way they see their progressive moral commitments as aligned with the way of Jesus. But it is happening, more and more, and it is beautiful. I believe we are seeing through the Poor People’s Campaign, and many other initiatives in our state and in the South, what the PPC is calling “a new unsettling force.” A different story is going to be told about the South than has been told. It’s a new civic imagination, a world in which many women are elected to public office, young Latinos increasingly gain voice and votes, rural and urban progressives work across the geographical lines that frequently divide us, and we all grow spirituality as our increasing awareness of intersectionality contributes not to fracture or division, but maturity and moral vision.